With no commercial pressure to ever bring this private tequila to market, a small group of Mexican families have heartily funded it. For several generations, a local Amatitán artisan and distilling family has passionately produced this spirit, never veering from the centuries old codes and customs – “Los Códigos” – that have made it the most selective tequila in the world. In Amatitán, every drop of Código 1530’s offerings, Blanco, Rosa, Reposado, Añejo, and “Origen,” our Extra-Añejo, have been perfected over several generations the way one would a homemade recipe – embracing time-honored customs without ever veering from the traditions of the Los Bajos region and its tequilieras and jimadors. The Tequila begins with fully-matured agave aged over seven years, which is cooked in stainless steel ovens, fermented utilizing an organic family baker’s yeast in Amatitán, and distilled twice in stills handmade by the distilling family themselves. The Blanco is perfected over a lengthy, 15-day process. The rested Tequilas are meticulously aged to taste in French White Oak red wine barrels procured from the Napa Valley, which helps ensure that each and every barrel is worthy of bearing the Código 1530 name. Código 1530 proudly bears the Jerusalem Cross as the symbol of its heritage story. This iconic cross sits atop the Jalisco Coat of Arms and dates back to 1530 when after colonial struggle, Amatitán was officially recognized as a city of New Galencia and Jalisco was given a coat of arms by the Spanish monarchy, which was anchored by the Jerusalem Cross. 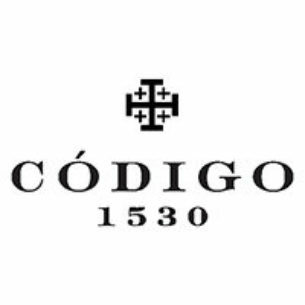 Código 1530’s name honors “Los Códigos,” the old world codes and customs that shaped and still live on in Amatitán and the Los Bajos region to this day. These values are at the core of the proud families who served this tequila in their homes and the artisan distilling family who has been the custodian of this private tequila for generations.